There is something so special about giving and receiving custom-personalized gifts. It’s that extra step that means a bit more and hits yeah a little extra in the heart strings. 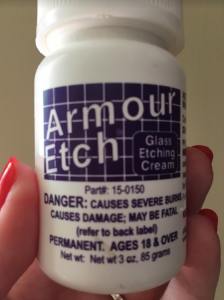 And the purse strings… Personalized gifts can get pricey – but don’t fear – Etching cream is here! This stuff is amazing! 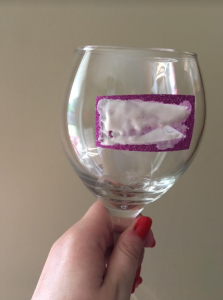 Just apply it to a stenciled piece of glass, leave it on for a 1-3 minutes, and wash off. 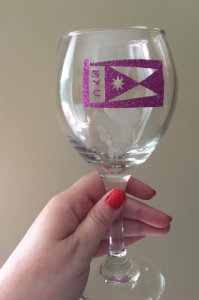 You can make amazing customized gifts in no time at all. 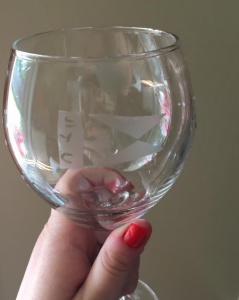 Check out some of the photos on custom wine glasses I made for my mom to donate to the Sanford Yacht Club.